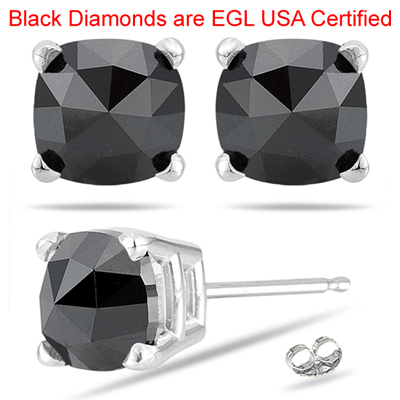 2.19 Cts AA EGL USA Certified Cushion Rose Cut Black Diamond Stud Earrings in 14K White Gold . 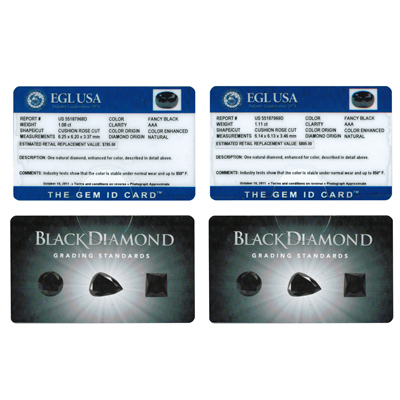 These tantalizing EGL USA Certified Black Diamond Stud Earrings showcase an AA quality cushion rose-cut Black Diamond each prong set in 14K White Gold. 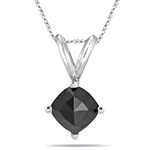 Approximate Black Diamond Weight: 2.19 Carats. 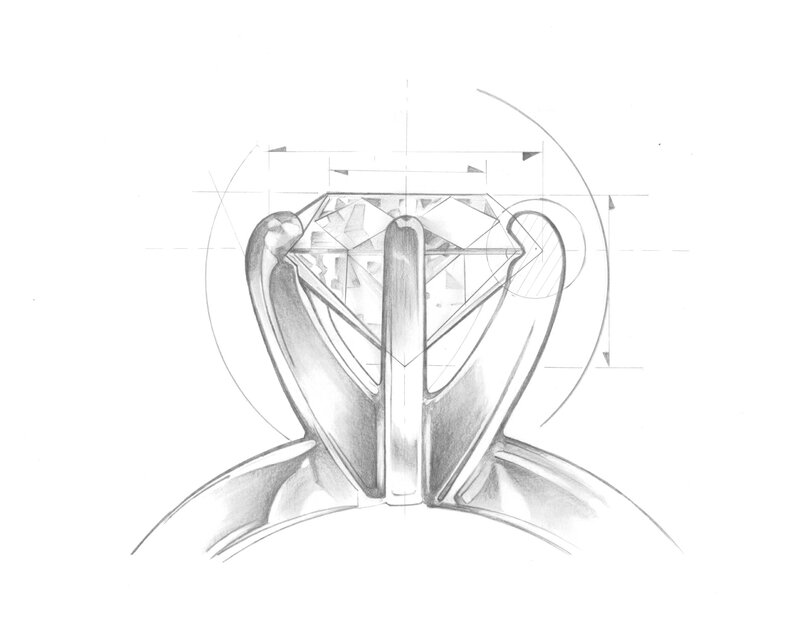 Black Diamond Dimension: 6.25x6.20x3.37 mm/6.14x6.13x3.46 mm. The earrings come finished with push backs. Pamper yourself with these delicate earrings.